Undefeated Russian star Anastasia Yankova will be making her U.S. debut at Bellator 161 on Sept. 16 in Cedar Park, Texas. Bellator announced on Thursday that Yankova will meet Veta Arteaga in a flyweight competition. Yankova holds a 3-0 record and last fought Anjela Pink at Bellator 152 in Italy back in April. The former Muay Thai and kickboxing champion has finished all of her professional MMA fights by submission. Arteaga is also undefeated with a 2-0 record and last fought in May against Jackie Vandenburgh at Bellator 155. Arteaga picked up a unanimous decision over Vandenburgh. 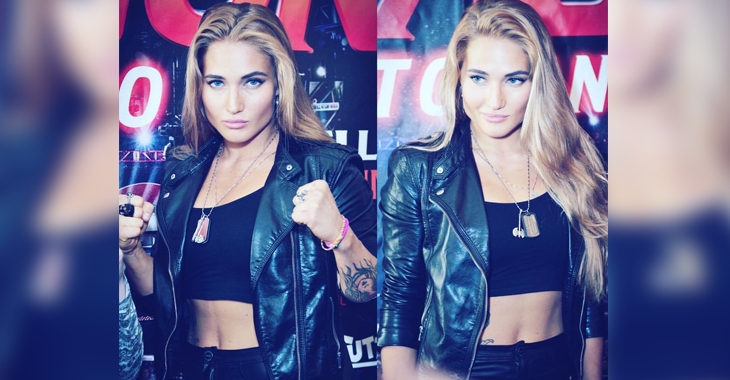 Who are you picking to win the fight between Anastasia Yankova and Veta Arteaga? Share your pick with us in the comment section.